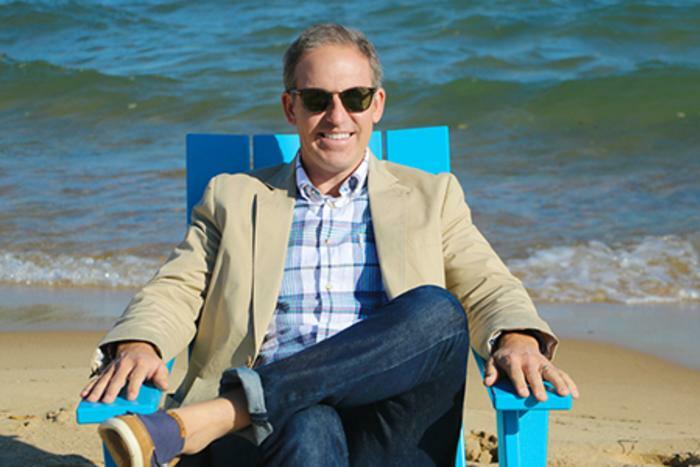 Tell us a little about what the President/CEO does here at Traverse City Tourism. Traverse City is a special place. It’s my job to make sure the rest of the world knows that. Leisure and business travel to Traverse City are critical to our economy and way of life. Finding new and innovative ways to grow tourism responsibly in a collaborative way is my focus. I was with the National Cherry Festival for 10 years, five as the Executive Director. Before moving back to Traverse City, I worked for the West Michigan Whitecaps. The people. I have an amazingly talented staff, a thoughtful board, and a supportive community. There’s no better feeling than being surrounded by like-minded people you can trust. 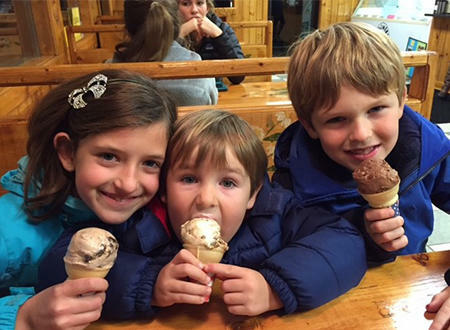 I love going to Moomers Ice Cream with my family – who doesn’t? We enjoy swimming and boating on Duck Lake, too. In the winter, I’ve had the privilege of watching my three little ones learn how to ski on our fabulous Northern Michigan slopes. It’s a joy to bomb the hills with them on the weekends. I love all of them, but if you’re looking for a pleasant surprise go to the Clinch Park concession stand during the summer. Great fish tacos and the best view in town! A day when I can play catch with the kids in the backyard, hit the beach with family, grab some ice cream and go to a drive-in movie at the Cherry Bowl. Wait, there are still celebrities out there who haven’t been to Traverse City?! The transition between summer and fall. It’s still warm, but the foliage is starting to turn. Plus, it’s my anniversary and birthday so I get to do a lot of celebrating. In 2013 when I was executive director of the National Cherry Festival we had our first ever night air show over West Grand Traverse Bay. I’d never seen a night air show and I had no idea what to expect. The band Foreigner was just finishing on the Bayside Music Stage when 12 airplanes came rolling in lit up like Christmas trees. The crowd in the beer tent roared. I got goosebumps, took a huge sigh of relief and watched one of the coolest things I have ever seen.